Safety, nature and shy people are the first three things that come to my mind when I think about Finland and Finnishness. Finland has been listed several times to the top of the safest countries. The terrorism rate is low compared to many other European countries, and you can trust the police since it’s not corrupted. I have always felt really safe in Finland, even when I’m walking alone in the night-time. Finnish nature is something I really appreciate. I love how we have four different seasons and they all can be really beautiful. Finnish summer is my favourite season even though it’s usually short. You can do a lot of different things during the warm summer, for example, we can enjoy the summer holidays at cottages, swim in pure lakes and can go berry-picking wherever we want to. Some people like to spend their time on terraces and drink beverages and some people like to drive around and explore our beautiful home country. Genuinely the people just seem happier in the summers. The winter in usually also amazing. I love walking in snowy forests and ice skating on frozen lakes. I think it’s calming to wander in quiet forests and I love the sound when you are walking on the snow. Going to a hot sauna feels lovely after being outside in the cold for the whole day. Stereotypical Finns can be described as very shy and calm people. We are usually work orientated and honest. 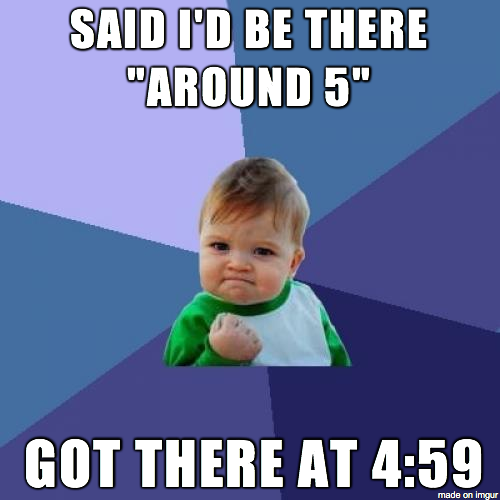 Punctuality is also common along Finns and this is also appreciated abroad. Because we don’t like having small talk we can seem a bit anti-social. 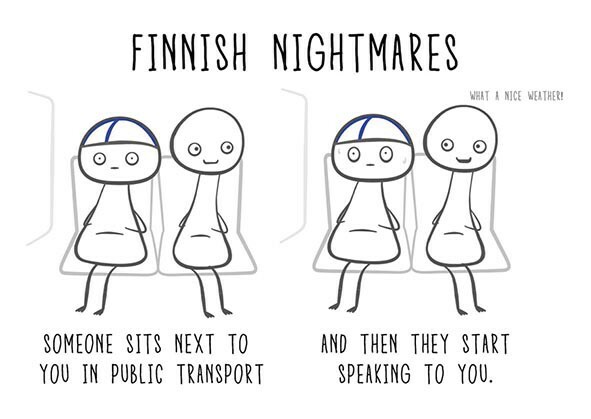 Finns want to have their own personal space and I personally dislike when people I don’t know come too close to me. For example when I was studying in France I never got used to the cheek kisses: I always felt awkward and didn’t know how to react. Finns are also known to be quiet and a bit shy. I have never felt more Finnish than when I was living in Sweden a few years back. Even though the Swedish and Finnish cultures don’t differ that much from each other I was really aware of my Finnish background. Sometimes it can be hard to be the awkward and quiet Finn, but I’m always proud to say my home country is Finland. After traveling to some countries and coming back to home, first thing to be thankful is recycling. For me that is important matter. When you are at home, you might get too used to recycling your things because in Finland it is made so easy. Recycling reflects to tidiness in living environments and nature. Finnish people are tight-lipped and silent human beings. Yes, we are politely shaking hands and murmuring hello, but that’s all you can get. No smile, no hugging, no kissing and especially no chit chat. In Finland, we have four seasons. That should be amazing gift from the nature and it provides so many opportunities for many things. But once again, no. We like to complain about it. The weather is never good enough. When thinking of Finnishness, the first thing that pops into my mind is sauna. It is the place where one can fully relax and shake off stress. I find the most common time to sauna is during the weekend, usually on Friday, to conclude work week. Finns are quite silent, and we embrace it. We minimize all excess communication. No chit-chatting with your neighbours, a simple greeting is fine. No talking to strangers in the bus, we are invading their personal space (and you also want to have your own space). Finns are work oriented and everything – your work day, family gatherings, free time – is usually planned systematically. Funny enough, in other hand we are also quite inconsistent. Public transport is expected to be either late or early, whichever works against your schedule. In Finland you can experience the full season experience. The whole package. I personally enjoy all of them. Having four different seasons makes me appreciate each a lot more. In winter you enjoy having a lot of snow and warming up once you have spent your time outside. The cold makes you long for the warmth of summer. In spring nature raises once more, bringing life and colours. The summer is almost here. In summer it’s sunny and warm. On the hottest days you could almost wait for the temperature to drop. In autumn nature starts its glorious wither before summer. It gets darker and rainy. You prepare for winter. Finns are a lot of other things too, of course, but I feel these points cover up a good part of it. What is it like to be a Finn? Finland is a small country with big opportunities. We have four beautiful seasons, outstanding pure nature and a society that takes care of its members. Like all countries, Finland has its issues, but I highly believe that they are been seeing smaller when putting in to perspective. This is one reason why people should explore the world and its differences; it makes you see your home country in a whole new light. In this case – very positively. Finland has some things that no other country can offer to a Finn, such as sauna and the outstanding nature that gives us energy and pure oxygen to breathe. We have climate that provides us with four seasons: spring, summer, fall and winter. Every Finn waits for the Finnish summer through all of the other seasons and just wishes it is a warm one. I guess that’s the beauty of it – you never know how it’s going to be, but you know it’s coming. 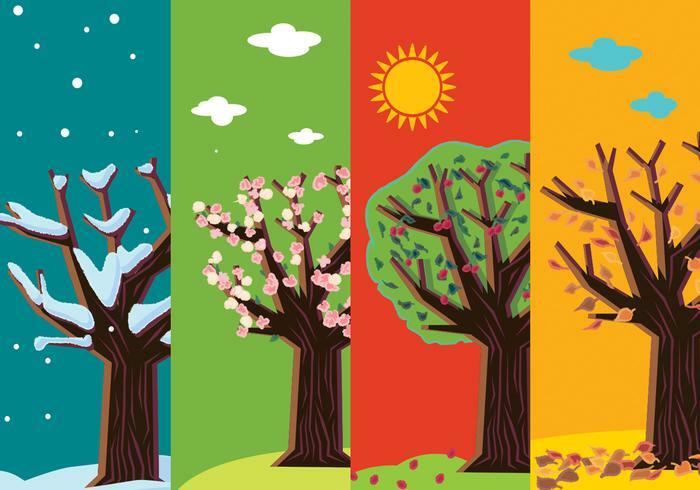 Personally I love all the four seasons and each one has its own good sides. Spring is the time when everything comes back to life and the nature starts to really show its beauty. Finnish summer is amazing with all its pure lakes to swim in, grilled food and cottage life. It is a time when you can explore different cities in Finland and feel like a tourist. Fall is stunning with all its colors and fallen leaves. The weather is crispy and this is a time of the year when usually something new starts. Finnish winter is like no other – endless possibilities for activities, breathtaking views and a perfect season for the Finnish privilige – the sauna. Nothing beats the combination of cross-country skiing followed by sauna on a crispy winter day. Finland is a great place to live in. When travelling, you will see that not many countries take care of their members the way Finland does. Our country offers same options for everyone, regardless of the background. We have a free education which is utopia for most of the people. So let’s appreciate our beautiful home country and all the things it offers to us. I love browsing the world! That’s my hobby and I’ve been lucky to be able to travel a lot around the world. I love each continent and their cultural and nature’s diversities. By traveling, I began to appreciate a lot of things in my country, Finland. Almost every time I find things that make me miss my home country; There just always seems to be things that simply are better in Finland. I’ve put together all the things I have longed abroad and can be found in Finland. How would you like to live in the following country? Finland is a country where you can enjoy all seasons and natural colours. Here is a unique beautiful nature, which is at the same time very peaceful and relaxing. There are no earthquakes, volcanic eruptions and other natural disasters in Finland. In addition to the pure and safe nature, there is everywhere clean tap water (probably the best in the world) and you can easily find healthy food at the stores. Here you can find culinary delights and high-quality restaurants that represent every continent. The schools offer a free lunch, which is also healthy. Studying is free and for college studies, you get what financial aid you do not need to pay back afterward. When talking about food, Finland has the best liquorice and rye bread in the world! And as a beer lover, I must mention that the microbrew scene in Finland is quite large and delicious. This country is a welfare state with freedom of expression, freedom of religion, and there is no discrimination against minorities here as in many other countries. There is hardly any corruption in Finland, in addition to which security and safety are guaranteed. The official is also unbribable. Class differences are quite small compared to many other countries and almost all Finns are honest. All people have the same rights! Welcome to Finland! …which, unfortunately, is also more than the things mentioned above. Finland is land of beautiful forest and clean waters. Finns love to go to their cottages during their summer break and many of us enjoy our beautiful nature. In Finland we have four different seasons, spring, summer, autumn, and winter. Every of those seasons have their own effects to Finns, we are like two different people during summer, when there hardly is dark nights at all, and during winter when it is always dark. When it is summer, Finns go to concerts and festivals, we will have good time and drink beer. Summer is the time for living, it is the time for joy! When autumn comes, it is time to go to the forest and collect mushrooms and berries, Finland’s forest offers best and most healthy treats there can be. During winter you should put on your woolen socks, it is common that Finns have even made them themselves from Novita’s yarn. Those self-made socks will chase away depression of the cold and dark winter. And when the spring comes, it is time to go out again to see the sun. Pure facts or crude stereotypes? Weird people somewhere North, living in one of the safest countries in the world, speaking on the the most difficult languages in the world? Yes. Finland is a country of thousands lakes and endless forests. Our nature is clean, our air is clean, even our water is so clean that you could drink it from the toilet seat. We have those famous incredible Aurora Borealis, wild nature, animals like bears, reindeers, reindeers, bears.. And.. there is always cold in Finland? Usyally, yes. All lovely four seasons. Spring, summer, autumn, winter. Wintertime is long and dark, and this time we call KAAMOS. It is totally basic to get desperate because of it. Nowadays there might be even less light because of climate changing and having less snow in winter time. Every spring we get shocked when we see the sun again and it takes time to get used to it again. But you should be better to get used to it, because in summer the sun is shining all day and all night. Its better to have a evening-job or blackout curtain if you want get sleep in summertime. We are silent and shy. We really enjoy the silence and loneliness and we say something only when we have to – or when we have something important to say. To us is quite familiar to feel uncomfortable in social situations and we do not know the word ”small-talk”. And it is totally okay to have long silent gaps in a conversation. Our most popular topic is weather and we never get tired of talking about it. We do not spent our days daydreaming – we think it is good to have feet on the ground. We have the Finnish thing called SISU. The thing that help us go trough nearly everything that we decide to. We are honest hard-workers and have relentless work ethic. Finnish people always follow rules. If the road is empty and you can not see a soul anywhere, but the traffic light is red, you don’t cross the street. We are precise and usually always on time – but our trains are always late. When we are kids (or just sick at home) we watch Moomins. We love to ski and play ice hockey and when our parents where kids they all went to school by cross-country skiing. And some of us are still doing it. Quite many, actually. We eat weird things like salmiakki, mämmi, rye bred, Karelia pie and potatoes. Okay potatoes are not weird but we eat them all the time. We love to sauna. For us it is totally normal to be naked in front of a stranger and for example go to swim in a lake – even in a wintertime and even if the lake is frozen. (But you should have a hole in it, of course.) Our humor is black and we are sarcastic people. We do not like to be touched by strangers and there is also people who don’t hug even their best friends. Our own space is important to us and the space is also something we really have here. When the fall comes, we go to the forest to pick berries and mushrooms and then freeze them and eat them all year. In summer the best thing for us is to go out of city in to the forest to spend time in summer cottage. That is the place where is no electricity or other luxuries – and there we can enjoy nature, go sauna and swim in a lake. And.. Yes. We might drink often and when we drink we drink way too much. But it is also the time when you can talk with us, because when we are drunk we finally talk (- before we are too drunk to talk anymore). And whatever other people will say – we know the real Santa Claus is living in Finland. Okay okay. Maybe these things are just crude, irritating stereotypes and of course Finland is so much more. The question about being finnish is actually not so easy today, because the country, its culture and population is developing and changing all the time. But anyway , I guess there is always a kind of truth hidden in a joke.